When you owe money to someone else, you have several options. The first is to renegotiate the payment terms so your credit doesn’t suffer. You can also pay off the debt in full if you are able, but many consumers resort to debt settlement. If you’re not sure how to handle a debt that shows up on your credit report, you need to know how debt settlement impacts your credit score. A debt settlement occurs when a borrower and a lender agree to resolve a debt for an amount that’s less than what is owed. Let’s say, for instance, that you owe $1,000 to ABC Incorporated, but you don’t have $1,000. Worse, that debt sits on your credit report as unpaid, which has tanked your credit score. In a debt settlement, you might call ABC Incorporated and offer to pay $750 in exchange for the lender marking the debt as paid. However, the lender will probably not mark the debt “paid as agreed.” Instead, it will use language like “debt settled” or “paid in settlement,” which will let other lenders know that you paid less than the full amount. Should You Settle a Debt? Settling a debt will probably lower your credit score. The precise damage is unpredictable because credit bureaus don’t release the particulars of their algorithms, but you’ll have to work hard to bring the score up again. Debt settlements are dangerous for this reason; a drop in your credit score can make future financial hardships even more difficult to navigate. A debt settlement also serves as a red flag to future lenders. If you apply for credit, the lender will see the partial payment and expect the same result from you in the future. 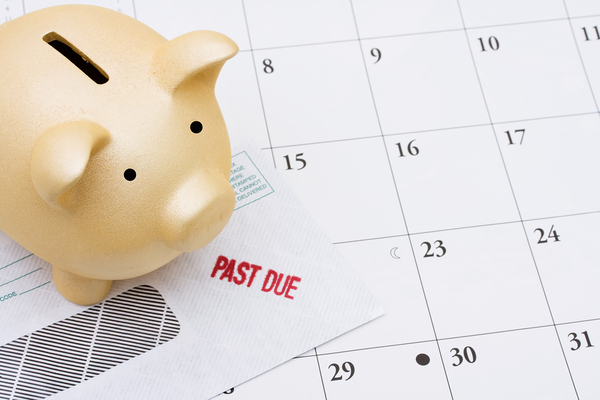 You might get denied credit because of that one entry, so don’t take debt settlements lightly. However, this doesn’t mean you should avoid debt settlements entirely. If you don’t pay off the debt at all, for instance, it will show up on your credit report as a “delinquent account,” which can drop your credit score by as much as 125 points. For perspective, imagine a 720 score dropping to 595. Based on most scoring models, your credit rating will go from “good” to “poor” in one fell swoop. In this case, debt settlement beats ignoring the debt and refusing to pay at all. You might see a drop in your credit score, but it probably won’t prove as drastic as it would with an unpaid delinquency. When you’re in serious financial hardship, debt settlements can provide a small but valuable cushion until you can get your budget under control again. Are There Alternatives to Debt Settlements? Unpaid debts can tank your credit score. Lenders all want one thing: To get their money. They don’t want to charge off bad debt at the end of the fiscal year. Instead, they want cash in hand. This knowledge gives you leverage. You need a proactive approach to debt that won’t impact your credit score. Many consumers hide from lenders and debt collectors, dodging phone calls and shredding letters. Don’t take this approach. You’ll only hurt your credit score. Instead, call your lender and discuss your options. Explain you want to pay what you owe, but you can’t satisfy the entire debt right now. Many lenders will negotiate a payment plan. As long as you keep your word, your account won’t go into collections. Just make sure to get any payment plan in writing. You’ll need proof if the lender goes against its word and reports your account as delinquent down the road. Additionally, don’t agree to pay more than you can actually give. In your desperation, you might agree to an amount that exceeds your budget, and you’ll ultimately have to default anyway, which will hurt your credit score more. Some people borrow money from friends or family members so they can settle their debts without any risk to their credit scores. Others take less-advisable routes, such as payday and title loans. Don’t put your credit and finances at even further risk to pay off one debt. Focus on the big picture. How Can You Avoid Debt-Related Problems? Your credit score is precious. It’s what allows you financial freedom, whether you’re buying a house or applying for a credit card. Therefore, you’ll want to protect it. Start by using a reloadable prepaid card to better manage your finances. These cards work just like bank accounts, but they’re less complex. Please note that some of these cards have fees, though they are typically quite affordable. If you follow a budget and use appropriate financial tools, you won’t have to worry about negotiating a debt settlement. Instead, you’ll cover your debts in a timely manner—hopefully with a little left over. Concentrate on building savings and developing a good credit rating so you have more financial freedom. If you’re facing financial hardships or interested in getting your budget under control, you’re not alone. Get a Green Dot Cash Back Visa® Debit Card today so you can start budgeting your money responsibly. A reloadable Visa card can help you avoid black marks on your credit report while still allowing you to meet your responsibilities. View Green Dot’s simple fees here.